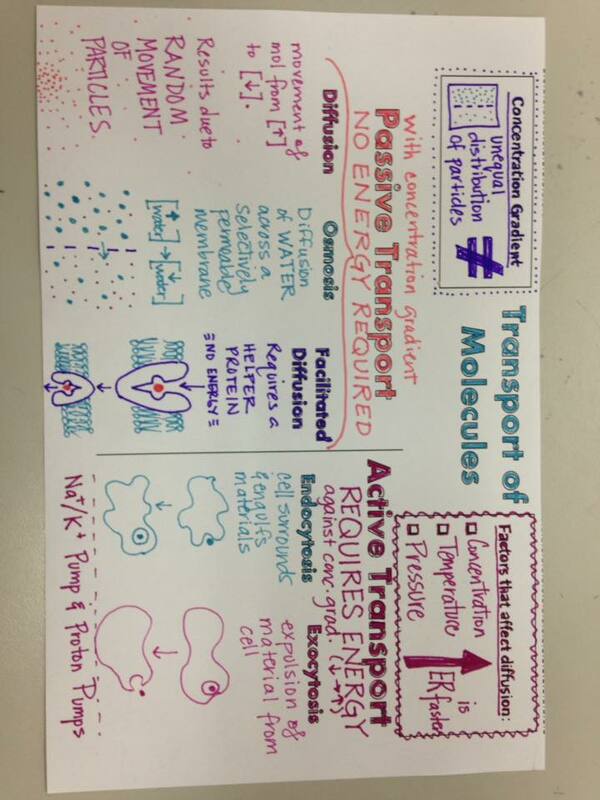 This is a graphic organizer I use to help students organize information about Cell Transport and Tonicity. This is what mined looked like when finished. I like both being on one page because it seems to streamline making copies and passing out papers. 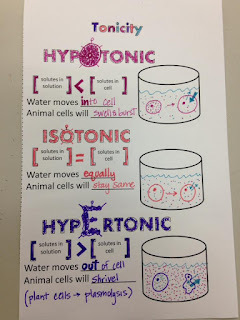 I love that it is still a lot of information but the visuals help make it easier to find information and quickly remind themselves what that concept. *** Update 10/24/17 *** I have added an editable PowerPoint to our TPT store that I use with this handout and I will be adding another handout soon. Infinite Algebra...oh how I love thee! Technology has come so far in the thirteen years that I have been a math teacher. My first few years I was creating everything in Word (oh the humanity). Even with MathType as an extension, it was so tedious. A few years later, we adopted math curriculum that included Examview. I used the provided tests and quizzes, but also had the ability to create my own assessments with its built in equation editor and even include graphs! They have free worksheets available to download with answer keys. More importantly our school purchased the software (available from Pre-Algebra up to Calculus) and it has changed my life. It is so easy to create a worksheet/quiz/test and have the ability to recalculate and scramble questions for multiple versions. The software also has a presentation mode that you can display on your projector. 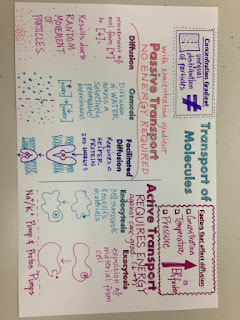 I have the students use individual whiteboards to work the problems out then we can go over them as a class. Check it out...it will change your math teacher life! When I'm gone... not forever...just for the day! My fellow teachers give me a hard time about how much of a control freak I am (well if I'm being honest, so does my mom). I HAVE TO BE IN CONTROL! My days off of school are most usually a very planned event. Except for this year when I had the flu for 4 days...geez that was horrible. Most substitute teachers are up front and will tell us and the students "I can't help with math." I understand completely...math is not for everyone. Knowing this, I try to skip school on a review day or plan a worksheet over material the students already understand. 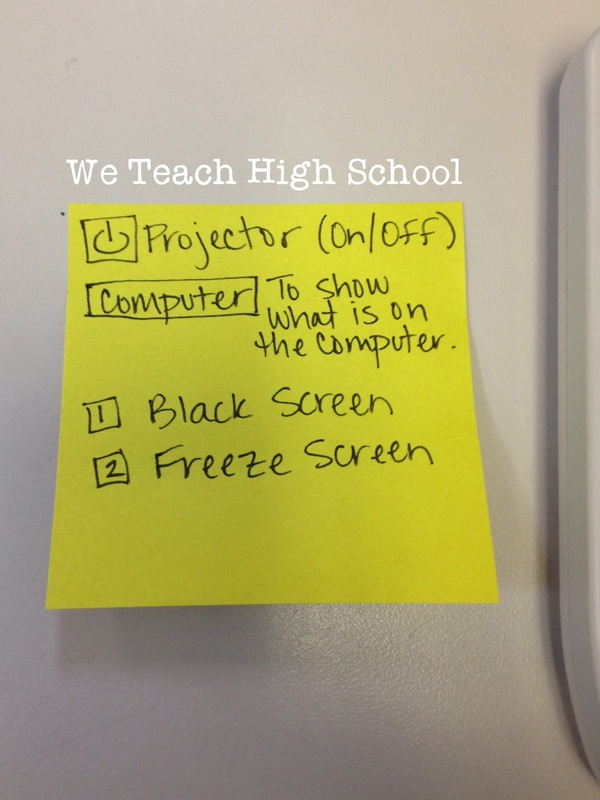 There are occasions though that this does not work out and I need the students to take notes or learn something new. Enter the control freak: I create my lessons on the iPad app Doceri (previous post about Doceri). Here is a link to my youtube channel. You can see some examples of videos I have created. You can even learn some algbera or precal while you are there!!! My desk is pretty organized in general, but on sub days I clear everything off and lay it all out nice and easy. I leave my sub folder on top of my desk. 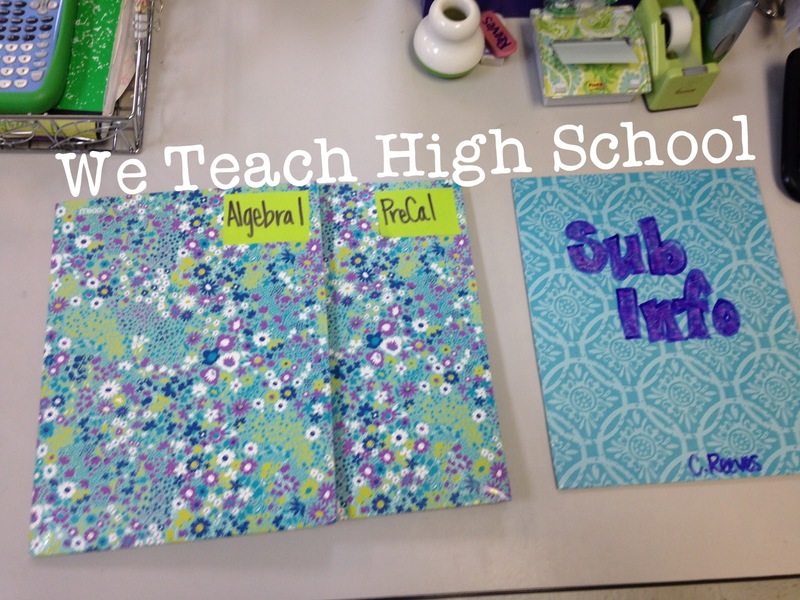 It includes copies of class rosters, my sub info document, and a place for the sub to write notes about each class. I also have a folder for each prep that contains copies for the day. 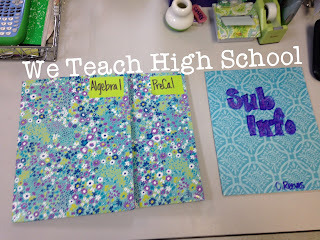 If I want the students to turn in their assignment at the end of the day, the sub can put the work in these folders. 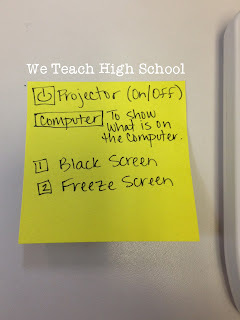 If the students will be watching a video: I leave the remote for the projector with a few notes about how to use it. I have found that the internet at school is not always reliable. 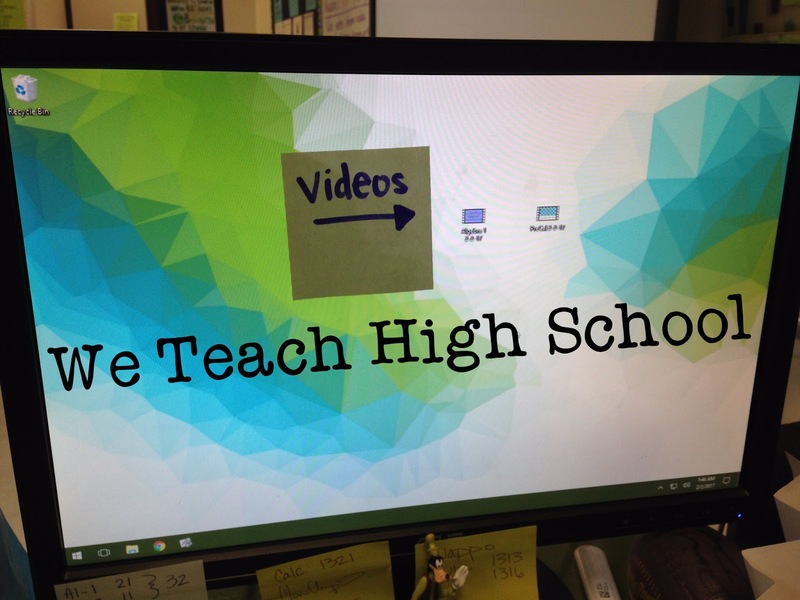 So I now save my videos to the desktop on my computer. I leave the computer logged on or Sandy will go in and log on for me. I am very clear with my students that they are responsible for their work when I am gone, no exceptions. Even if a sub tells them they don't have to do the work. I always write out the expectations on the board. I also let the student know that I have spies and I hear and know about everything that goes on while I am out! So yes, my coworkers do make fun of my sticky notes (Sandy took these pictures on a day I was gone to show everyone how crazy I am). My goal is for my day away to go as smooth as possible...that way no one has to call me and ask questions! 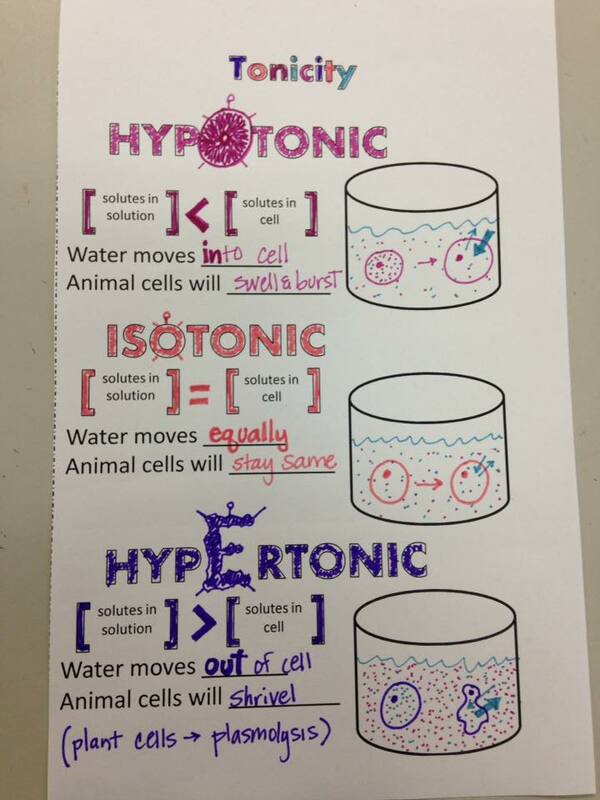 Check out Sandy's post on what she does when she misses school. I always try to prepare my students for what my expectations are when I am out sick. I always leave more work than they can finish because I want them to be working and now causing problems. I want subs to have an easy day when they take my place. I also warn the children that no matter what a sub says or what the subs expectations are, I expect that work to be done and it will be graded. This is what I have done forever. Lots of worksheets, maybe a crossword or word search, maybe an outline of the upcoming chapter for AP Biology, usually case studies for Forensics, who knows. This year I had to rush to find things for the kids to do. I finally got smart and went to Teachers Pay Teachers. 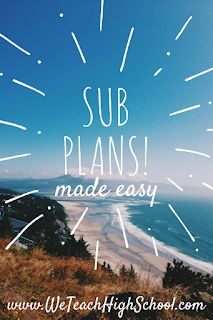 You might be thinking, "I am not spending money on sub work." Think again! Did you know every store has at least one item for free? That is the first requirement of your store, your first product has to be free. So I went and just searched the free stuff! Best, Idea. Ever. 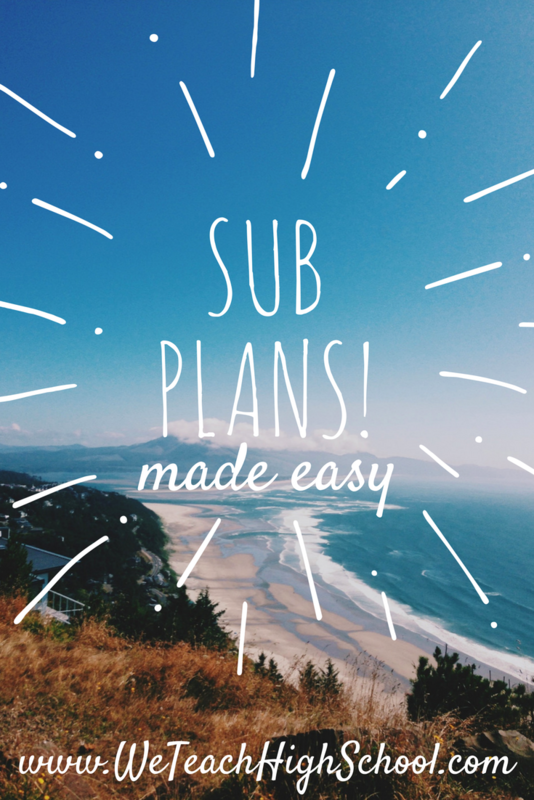 If you want to see how a real pro leaves plans for a sub, check out Chonte's post!! So how about a couple of links that I liked!